Crypto adoption may be drawn-out yet inevitable part of technical, economic and social advancement of in the modern world. This is why cryptocurrencies find more and more uses as well as real-life applications nearly every day now. At CODEX, team is convinced that the demand for digital assets will only grow over time and it is important to focus on making digital assets more accessible, affordable and lucrative for users across the globe. With the help of BTC giveaway CODEX invites all cryptocurrencies traders and enthusiasts to test the platform. 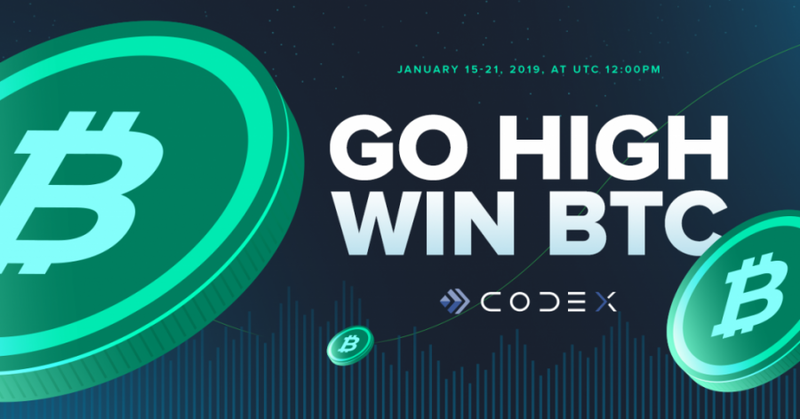 To mitigate risks associated with making the very first investment in crypto or simply trying out a new exchange, CODEX decided to launch BTC Giveaway. The requirements to participate couldn't have been easier to meet: register, follow CODEX in Twitter, retweet the giveaway tweet. CODEX BTC Giveaway gives a chance to win $100 worth of the all-time popular and most valuable cryptocurrency on the market and trade this money on the platform. 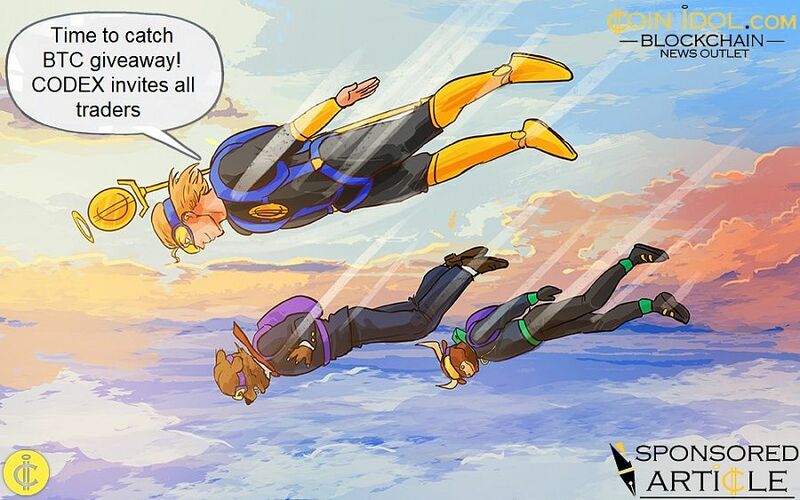 To deliver the message to crypto community CODEX chose an unusual method: in order to attract more attention team has sent several messages to well-known crypto influencers on a blockchain. Thanks to Bitcoin blockchain and the OP_RETURN feature in particular, the message was sent directly to influencers’ wallets in a Bitcoin transaction. Such a transaction can be decoded and read in a block explorer. Crypto_Rand, a Crypto Twitter user with around 200000 followers, tweeted recently a screenshot of message he got from CODEX exchange: “OverBEARed? :P Join @CODEX_Exchange BTC giveaway, Jan 15 UTC 12:00 #GoHighCODEX”. The BTC Giveaway starts on the 15th of January at 12:00 UTC and will last till the 21st of January at 12:00 UTC. On January, 21 CODEX will randomly select 50 people who will get $100 worth of Bitcoin. Details and rules can be found in a CODEX blog article. CODEX is an officially licensed digital asset exchange, built to conveniently buy, store, sell and trade the world’s most eminent cryptocurrencies at near-zero fees (0.05-0.1%). Committed to accommodating current market needs, the exchange offers its users an expedient feature-rich framework, a cutting-edge security infrastructure, and a nonpareil reward system including the Trade Mining program. More information about CODEX: https://codex.one and https://twitter.com/CODEX_Exchange.